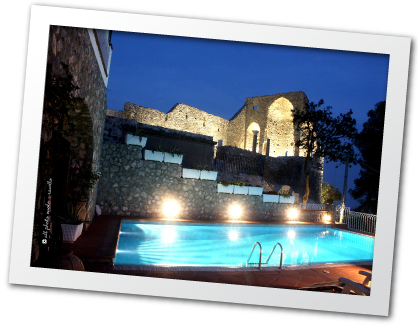 The villa Eustachio is situated in a village called Scala (area Minuta), not far from the centre of Ravello (about 2 Km). The villa is reached by a flight of 150 stairs but once there you are in heaven with a fabulous view of the coastline including Amalfi and Atrani. This villa is a typical example of a Mediterranean and Amalfitana house, with all the modern comforts. With the 150 steps in mind, the owners have arranged for a donkey service for luggage at the guest’s disposal; this service can be used between 3.00 p.m. and 7.30 p.m.
La Scogliera S.a.s. di M.G. Gambardella & C.